Together with me are adopted ministers: Pastors Jeter and Joebert who have been faithfully working in the vineyard of the Lord. Last year 2009, God be praised – my district assignment garnered the highest tithe increase percentage and overflowing goal of baptisms. 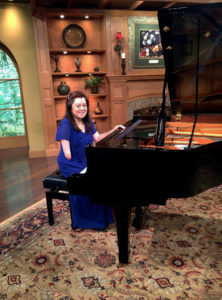 This year as of the month of May, our baptism official report to NOC is already 127 yet my one year goal is only 125. This month in one church alone, we baptized 86 precious souls and these are all mostly the result of the hard work of Pastors Joebert and Jeter. We also had another baptism inside the jail and there were 16 inmates who gave their lives to Jesus. 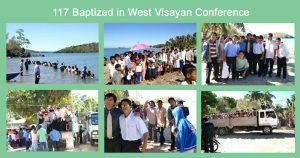 To God Be The Glory… all our hard work through the help of the Holy Spirit after our latest public evangelism in Batuan and Salong SDA Church reaped 46 precious souls who became part of the mass baptism of 117 precious souls under West Visayan Conference for June 2010.